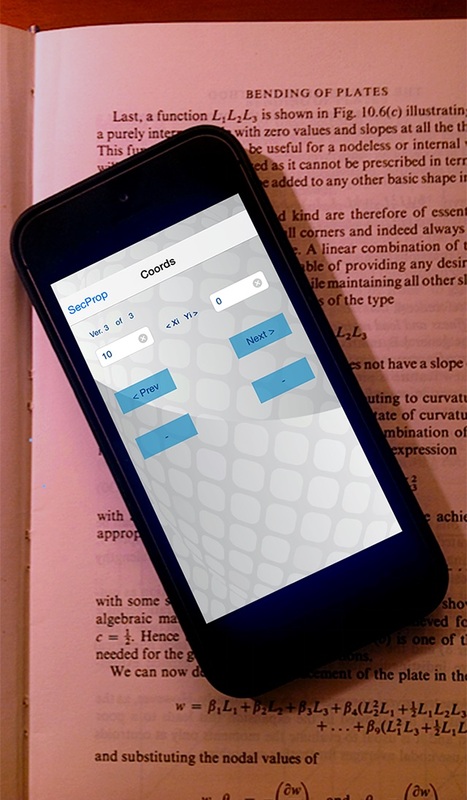 SecProp is a Cross Section Properties Calculator, and calculates the Geometric Properties of Any Plane Figure, giving the x,y coordinates of the vertices. This app gives is intended for engineering analysis and design, for stress analysis, to calculate the natural frequencies and mode shapes of a machine element, for students. The shape is descrived by pairs of X,Y coordinates, that must be inserted clockwise. The X axis is horizontal, the Y axis is vertical. The output can be emailed to anyone. Please be aware that the author assumes no responsibility whatsoever for its use by other parties, and makes no guarantees, expressed or implied, about its quality, reliability, or any other characteristic. We would appreciate acknowledgement from the users.